The Future Leaders Exchange Program (FLEX) is a program funded by Congress under the FREEDOM Support Act and administered by the U.S. Department of State’s Bureau of Educational and Cultural Affairs. The program’s goal is to provide an opportunity for high school students from Eurasia (the 12 New Independent States of the former Soviet Union) to experience life in a democratic society in order to promote democratic values upon their return to Eurasia. Students live with host families, attend school, participate in enrichment activities to learn about American society and values and also help educate Americans about their countries and cultures. The program places special emphasis on leadership skills and seeks ways for participants to develop these skills during the school year. 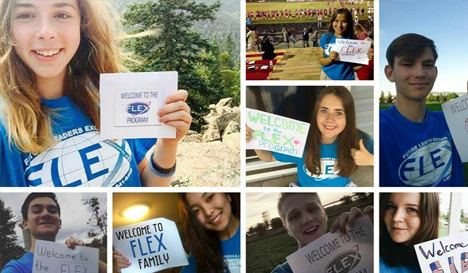 On their return home, students will apply their leadership skills and become involved in a well-established FLEX alumni network. The Partnerships for Learning Youth Exchange and Study Program (YES) is an innovative high school exchange program funded by Congress through the U.S. Department of State’s Bureau of Educational and Cultural Affairs. The YES Program evolved in the aftermath of September 11, 2001. This program brings youth from predominantly Muslim countries to live with host families and attend high school. One of the goals of the program is to increase public diplomacy through student exchange. The AIFS Foundation is proud to have been involved with the YES program since its inception. This program also focuses on leadership skills for the participants. We are proud to see these young people mature and learn during their year and to see American families and communities gain an understanding of Islamic culture. AYA is proud to work with the Future Leaders Exchange Program (FLEX), and Kennedy-Lugar Youth Exchange and Study Program (YES), which are funded by the U.S. Congress and administered by the Department of State’s Bureau of Educational and Cultural Affairs. 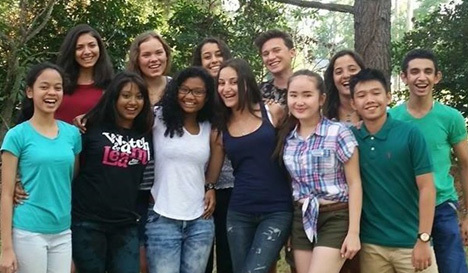 The goal of these grant programs is to provide an opportunity for international high school students to engage in activities to learn about American society and values, acquire leaderships skills and educate Americans about their countries and cultures. Upon return to their home countries students will engage in activities that furthers mutual understanding among the citizens in their home countries. Become a catalyst to international understanding. Your support expands access for students, schools and communities to opportunities for cultural exchange through international travel and education.